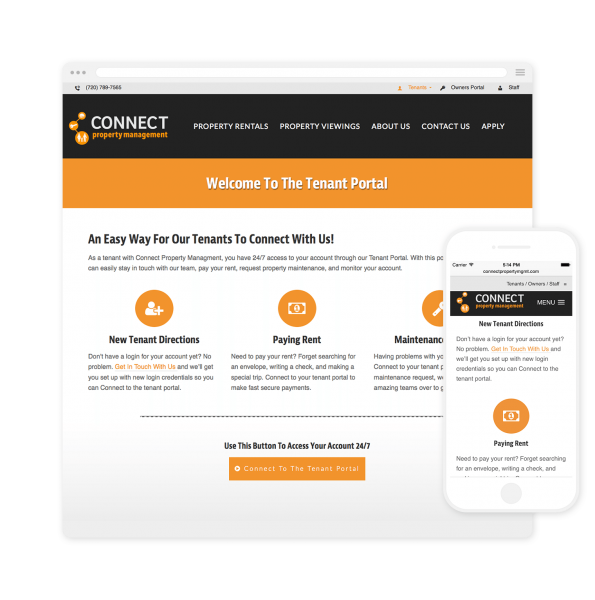 The Tenant and Owner Portals offer an easy way for Tenants and Property Owners to access their accounts. Portal pages featured a login, button directions for accessing the portal, and an explanation of features for each portal. 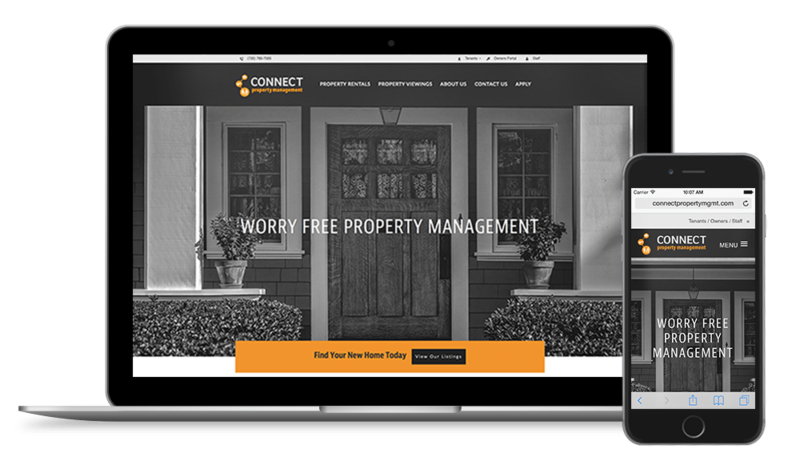 Integrating the listings from Appfolio in to WordPress enabled new clients to scroll through the available property listings and contact Connect for more details. 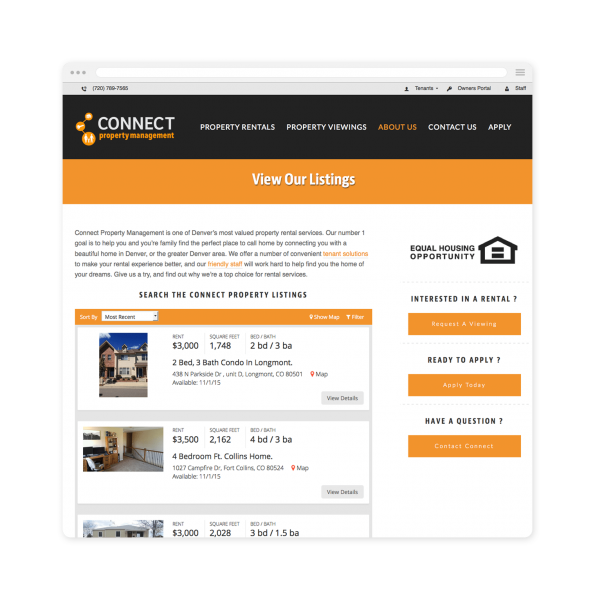 The listings page also featured a custom side bar with call to action buttons and the EHO symbol. 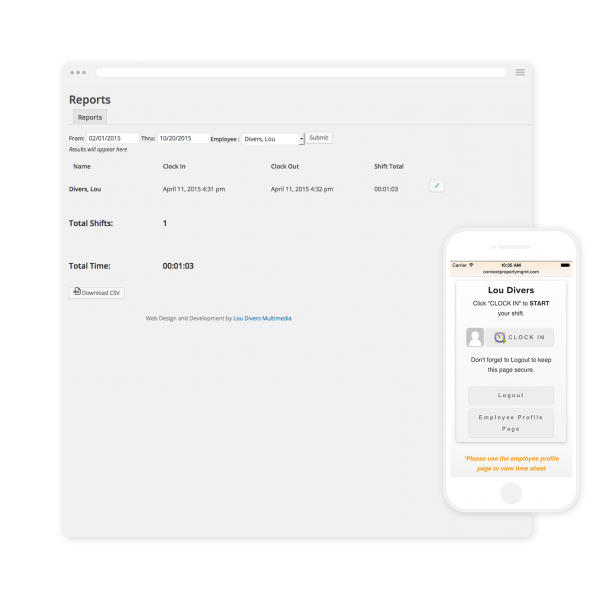 Another important tool for Connect was for them to have a time clock on their website that agents would be able to access from their mobile device while working in the field. One of the requirements for this project was to have a rental application for prospective tenants to gain easy access to. 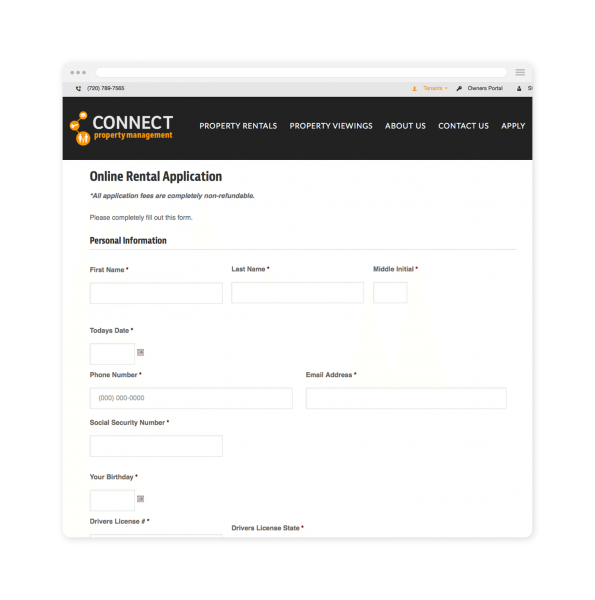 The rental application needed to be able to be filled out and submitted online. We also needed to collect a payment along with the submission of the rental application. Since the website is running on WordPress, I decided to use Gravity Forms to create the application.